Stuart H. Deming represents foreign and domestic companies, organizations, audit committees, and individuals in a range of business, legal compliance, and investigatory matters. He provides advice on international transactions, develops and assists in the implementation of compliance programs, conducts internal investigations, and represents clients before federal and state agencies. His regulatory practice focuses on the Foreign Corrupt Practices Act, economic sanctions, and a range of issues associated with the conduct of international business, including Sarbanes-Oxley and employment issues. He has successfully litigated through appeal complex international legal issues as well as handled delicate matters involving the denial of eligibility of foreign figures to enter the United States. In addition, as a Certified Public Accountant with a Masters in Business Administration, he has been involved in matters involving complex accounting issues. Mr. Deming began his legal career as an Assistant U.S. Attorney in Michigan where he managed a major grand jury investigation of kickbacks by a major German multinational corporation and litigated a landmark case requiring the production of foreign records by the Deutsche Bank AG. He later joined the Securities and Exchange Commission (SEC) in Washington, D.C. where he managed the investigation of major corporations for violations of U.S. securities laws, including the successful investigation of a Fortune 500 company for accounting fraud. Before going into private practice, Mr. Deming prosecuted public figures, foreign nationals, and executives of major corporations at the Tax Division of the Department of Justice. After joining the Washington, D.C. law firm of Steptoe & Johnson in 1987, Mr. Deming was directly involved in the representation of a major defense contractor. He later served for a brief period in assisting with the 1990 Economic Summit in Houston and later with the Department of Defense. In 1992 Mr. Deming was asked to return to the Department of Justice to serve as one of the special prosecutors in a highly sensitive and complex investigation involving many members of Congress of the United States and their use of the banking facility at the U.S. House of Representatives. In 1996 he was one of the founding partners of Inman Deming LLP where he practiced in Washington and in Michigan until 2003. For years, Mr. Deming has been consistently given Martindale Hubbell’s AV* Peer Review rating, Martindale-Hubbell’s highest rating. Similarly, he has also been consistently included in Michigan Super Lawyers list. 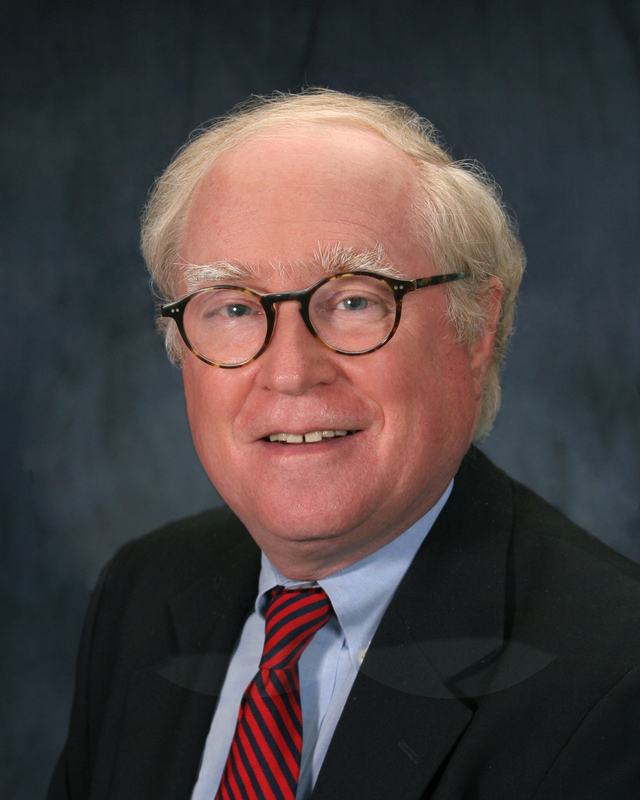 Mr. Deming has written and spoken extensively on various international legal issues. Recently, his book entitled Anti-Bribery Laws in Common Law Jurisdictions was published by Oxford University Press. Previously, he authored a best-selling book published by the American Bar Association: The Foreign Corrupt Practices Act and the New International Norms. For many years, he served as a member of the Board of Editorial Advisors to the Foreign Corrupt Practices Reporter and chaired a number of ABA national institutes on the Foreign Corrupt Practices Act. In serving in a variety of leadership capacities with the ABA, Mr. Deming has taken a leading role in the development of policy in a range of areas, especially international law and issues relating to compliance with various regulatory regimes. For a number of years, Mr. Deming has lectured at numerous law and business schools and served as an adjunct professor at the John Marshall Law School Center for International Business and Trade Law in Chicago. He has been a member of the Council of the ABA’s Section of International Law where he has also served in various capacities as an officer. He has chaired divisions that focused on international transactions, dispute resolution, business regulation, and public international law and chaired numerous committees. He co-founded, co-chaired, and served on the steering committee of the ABA’s committee that focuses on anti-corruption initiatives, the Anti-Corruption Committee. He continues to serve as a senior advisor to the Anti-Corruption Committee. In recent years, with the ABA’s Section of International law, Mr. Deming served as a co-chair of the International Anti-Money Laundering Committee and as a vice chair of the International Reporting Standards (IFRS) of the Securities and Capital Markets Committee. Mr. Deming has also served as the Chair of the International Law Section of the State Bar of Michigan. At the request of the president of the ABA in 1993, Mr. Deming was sent to Ethiopia to provide advice and assistance to the Office of the Special Prosecutor of the Transitional Government of Ethiopia in its preparations to try those accused of atrocities committed under a former regime. He was also appointed to serve on an ABA blue-ribbon task force on the establishment of an international criminal court. He later served as an officer of a special task force of the ABA Section of International Law on the International Tribunal to Adjudicate War Crimes in Former Yugoslavia. In 1992, Mr. Deming was sent by the U.S. Department of Commerce, Commercial Law Development Program to serve as a resident advisor to the Minister of Economics of Lithuania. He was active with the ABA’s Central and East European Law Initiative and chaired a number of working groups in reviewing and commenting on legislation concerning legal reforms being considered by the new democracies in Central and East Europe and the former Soviet Union. In 1994, he served as an observer at a peace conference in the southern Sudan. Mr. Deming was a founder and a chair of the District of Columbia Bar’s Committee on Law and National Security, a member of the American Institute of Certified Public Accountants’ Responsibilities in Tax Practice Committee, the U.S. representative to the Transparency Committee of the Pacific Basin Economic Council, and a member of the Committee on International Arms Control and Security Affairs of the Association of the Bar of the City of New York. He was also a founder and officer of the International Business Group of West Michigan. After initially attending Williams College in Massachusetts, Mr. Deming received his B.A., M.B.A. and J.D. from the University of Michigan. He is licensed to practice in Michigan and in the District of Columbia. He is a member of the bar of the U.S. Supreme Court as well as a number of federal district and appellate courts. He has also been licensed in Michigan as a Certified Public Accountant.